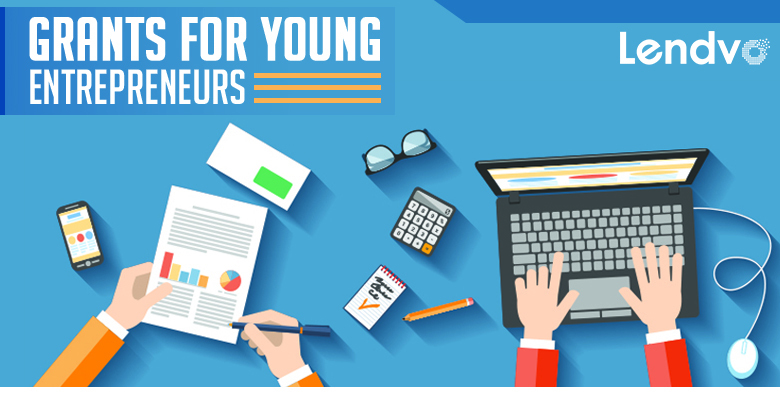 One of the most difficult steps in founding a new business for young entrepreneurs is the ‘capital raising’ stage, or simply raising money for the company’s growth and operations. Most new business owners have a great idea and a lot of passion, both essential for getting a business started. However, these factors can only go so far, and many founders need to look for outside funding after their reserves blood, sweat, and tears starting running dry. Bootstrapping a company like this sets the groundwork, and allows for future growth spurred on by additional capital. Today, let’s talk about an often overlooked source of funds for young entrepreneurs: grants. When many founders first think of raising capital, they often think of venture capital or private investors. And while both are potential sources of funds for their business, both require the founders giving up some of their ownership and direction in their company. Grants, on the other hand, are gifts of money to a company’s operation, usually as a prize the company wins, or as an act of faith that the company will go on to create something in a specific field. One of the best sources of grants for young entrepreneurs is the business plan competition hosted by many colleges across the world. A college’s business school often throws these competitions once a year, with many different student founded companies competing to receive the top prize: a straight infusion of capital for the company. The competition is usually structured so that each team creates a fully fleshed out business plan and presents it on a final competition day, with each team being judged and the best team coming out on top. The benefits of this grant source exceed just the chance to win money; even losing teams still have been forced to work for months on a bulletproof business plan, allowing them to work out the kinks in areas they may not have identified beforehand. This proves invaluable, especially to first time founders. Another source of grants, naturally, is grants.gov. This government run website has many different grants to search for and apply for. These grants usually don’t have any type of competition associated with being awarded, and are instead chosen by the grant giving foundation after assessing which applicant most closely associates with their specific goal. To note, most of the grants associated through grants.gov are highly specific, usually involving companies that work within public policy or public direction. If your company works within the domains of public utilities, law, energy, development, or other public works issues, you will be hard pressed not to find a grant that you may be suited for. And while grants.gov is nationwide, another source of government grants for young businesses are the local chambers of commerce found in any given area. Many large metros have active chambers of commerce that similarly offer grants in different fields of interest to the government and society as a whole. Further, the chambers have many great resources for young entrepreneurs outside of just funding, due to their nature of being targeted and knowing many important local players in different industries. Chambers of commerce often have many programs intended to link up young founders with mentors, suppliers, marketing experts, and more. If you’re looking for a one stop shop for all things grants, there is no better document than the Grants Register. As the name implies, the Grants Register is a fully registry of over 4,000 grants each year across every different industry or area. The grants are reviewed individually each year, and all the information is accurate and up to date. Unfortunately, the Grants Register costs a few hundred dollars to purchase, making it a more premium option for your grant search. You know what they say, you have to spend money to make money! Last but not least, if you are a business founded by traditionally underrepresented minority groups, you are eligible (on top of everything previously listed) for grants offered by the United States Department of Commerce Minority Business Development Agency. This agency was designed specifically to encourage minority groups to found more and more successful businesses. There are over forty centers across the US for minority business development, and most offer grant competitions and other resources to help with business operations and growth. As you can see, there are countless options for grants throughout the country, and no lack of additional resources being offered, often free of charge. Grants are a fantastic source of funds to consider before outside investment, as they allow further business growth without sacrificing ownership of the business. Make sure to do your research ahead of time after picking the grant you want to apply for; every grant has very specific qualifications and requirements needing to be met before a company can even be considered for its valuable funds. Once you’ve done your full due diligence, do your best to win it!